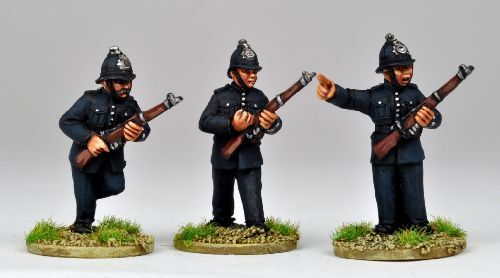 PLP588 - Long Arm of the Law Armed. Pack contains three figures, each one of which is available alone in the 'single figures' Thrilling Tales range. Figures cast in metal and sold unpainted.